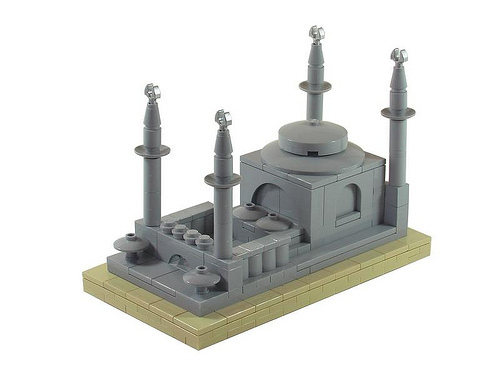 Legoadam has made great use of dish and arch pieces to construct this simple but delightful microscale mosque. I’m sure the sharif would like it. Love the design, but a little color wouldn’t hurt. agree with mena, mosques are usually colourful. i grew up in a country full of them. nevertheless, this is a great effort and some interesting use of accessories.